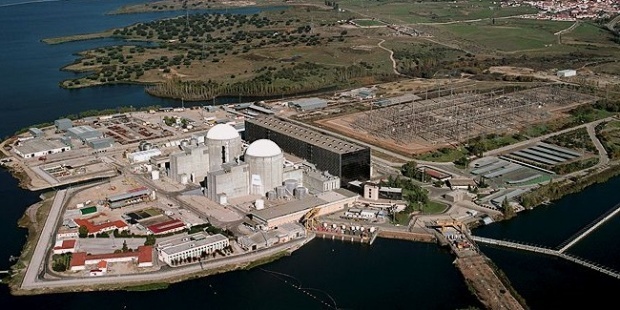 Both the reactors at the Almaraz Nucelar Power Plant in Caceres (the oldest in Spain) supply 7% of the nations energy demands. 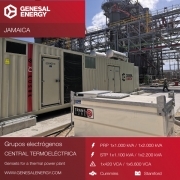 The plant is located in an area know as Ribera del Rio Tajo, and they have recently placed their trust in GENESAL ENERGY to design an emergency back up generator set capable of dealing with any potential incident.ualidad. 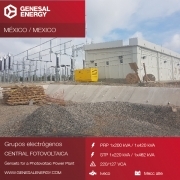 The project consisted in designing, building, installing and commissioning a genset capable of supplying a 110kVA of power to supply energy to the Individual Temporary Storage (ITS), which alongside the fuel pools, allow for temporary storage of used combustibles from the reactors in the event of a power failure. 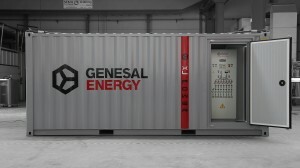 Genesal has designed a soundproofed genset inside a 20ft container with an interior control room configured for automatic start up. The bench frame incorporates a 700 litre fully bunded fuel tank, providing the genset with up to 25 hours autonomy. The genset has been specially designed to work at 45°C as well as resist seismic movements, in order to comply with security norms. 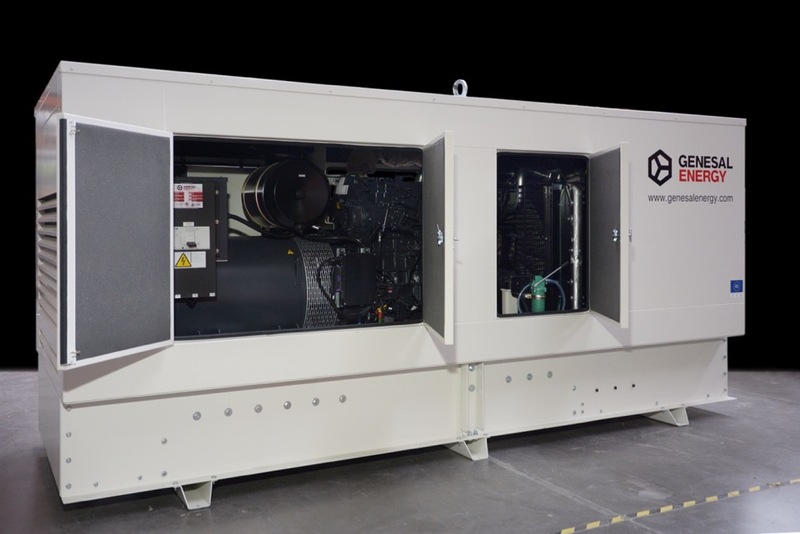 To meet with the client’s specific needs the genset was designed with an independent control room and power output with various local controls to manage the genset and other parts of the installation. In the switchgear output of the grid/genset, switches are fitted for each area of the ITS in the power plant. Each one can close or open via pushbuttons or using a pre-programmed sequence designed by the client. 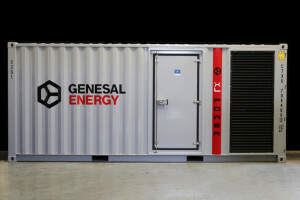 For the correct functionality of the genset, a separate room within the container was built to hold a resistive load bank which is connected to the genset output always and when the load is less than 40% of its maximum capacity. 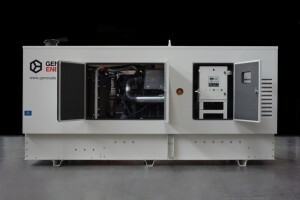 This allows for fuel use optimization and prolongs the lifetime of the genset (normally a genset is recommended to work at 70/80% of its maximum). 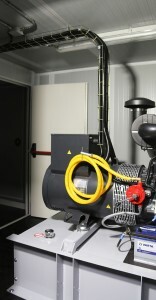 The load bank can connect to the genset manually via pushbutton for maintenance work. It is also important to highlight the implementation of signals exchange in the Distributed Control System (DCS) of the power plant, for example the state of switchgear, of the genset and a measurement of zero return to detect grounding failure in the installation. Situated 80KM south of Casablanca and 17Km from El Jadida is the Jorf Lasar industrial complex, a phosphates treatment plant which Genesal Energy has supplied with 3 specially designed gensets for emergency back-up. 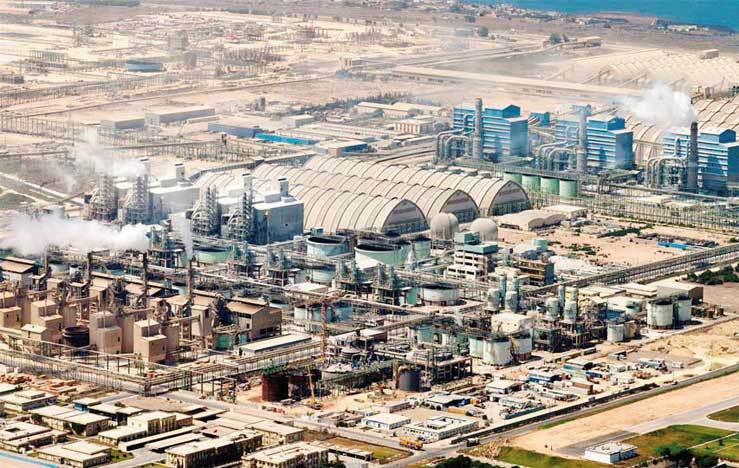 The plant whose installations cover an area of 1,700 hectares began its production in 1986 and its numbers are quite impressive: the recuperation of 2 million tonnes annually of P2O5 in the form of phosphorus acid. 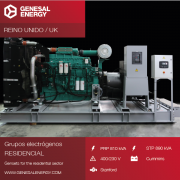 Genesal Energy has supplied this elaborate facility in Morocco with a genset island comprising of identical generators for outdoor use (3 units at 400V/50Hz containerised with a control system) designed to work in parallel or if necessary individually. Five circuit breakers make up the switchgear. 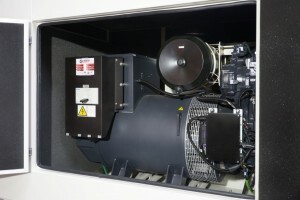 To power the entire plant using the genset island via an incoming power cabinet situated in the entry area of the plant. Separate the energy feed between incoming power cabinet in the plant. 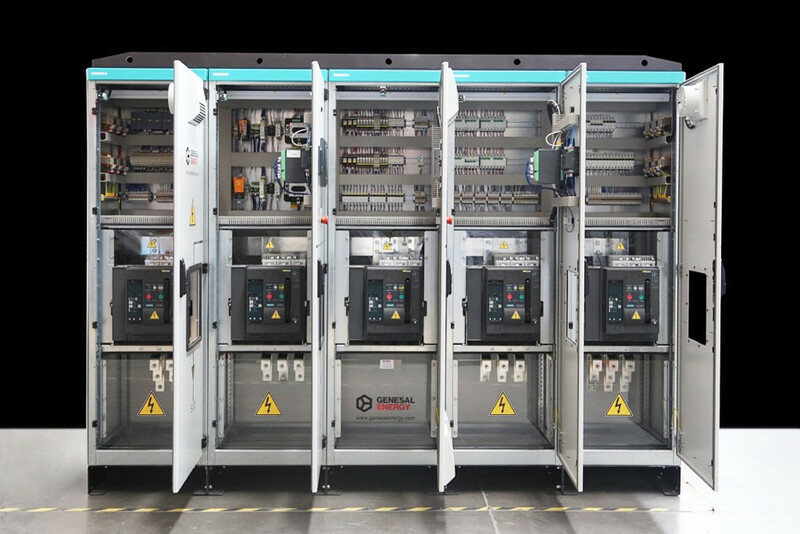 This allows for the genset island to feed one incoming power cabinet with all the panels, however if the client prefers to feed both incoming power cabinets, then that is also possible. If the gensets are operational, they can be synchronised, either with the output switch of each genset or with the coupling point, therefore reducing the number of movements required by the switches in case of changes in the operational format. If the client has not indicated that a connection panel should receive an electrical feed, the incoming power cabinet circuit breaker will not be permitted to close (not even manually), in order to avoid short circuits caused by external voltage not from the actual genset island. 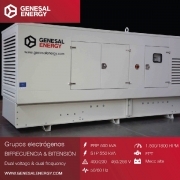 500-550 KVA / designed for industry leader in cold storage installations for the South American market. The client, an industry leading company in cold-storage facilities, had a special request: On the one hand, they needed and emergency backup power option for their manufacturing plant at 50Hz. However, they also need an alternative energy source to carry out testing on machinery (freezers, water recovery systems etc) at 60Hz for products which would be sold to Latin American markets. 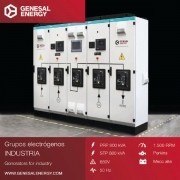 Because of the different voltage and frequency used in Central & South American countries the power grid in the client’s European base prevents them from testing products in authentic conditions. Hence the reason for an alternative power source to allow testing in the conditions found in Latin American markets. It was for these reasons that GENESAL ENERGY designed a “dual frequency” solution to meet all their needs. Emergency back up to provide electricity to the clients European manufacturing plant in case of a power grid failure. Provide an electricity source for testing machinery built with different voltage and frequency. 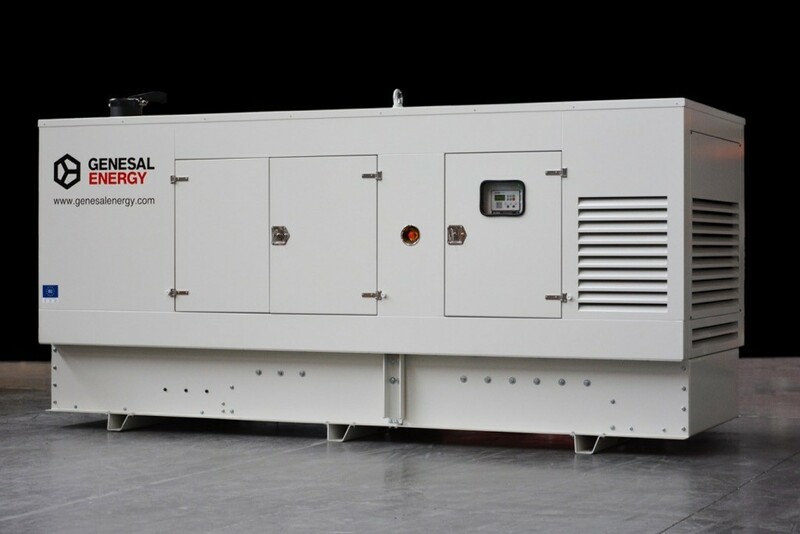 Design and manufacture of a 500-550 KVA genset to operate in emergencies, giving an independent power supply in case of a power grid failure to two workshops at 400/230 V 50Hz. At the same time, it will also give a power supply to a testing bench at 400/230V 50Hz or 460/266V 60Hz in manual mode. We opted for a newly designed 4500mm long canopy, with a view to easy access for maintenance and mechanical operations, along with an 800l fuel tank integrated in the base frame, to ensure a constant power supply for extended periods before having to refuel. Genesal Energy is delighted to share with you that we have been awarded with the AENOR Certification OHSAS18001 for Health & Safety at Work, as well as renewing currently held certificates in ISO 14001 Environmental Management, UNE 166002 R&D&I Management System and ISO9001 Quality Management System. Such recognition validates our ongoing efforts in the company with regard to the health and safety of our employees as well as reducing the risk of injury in the workplace. Genesal Energy has obtained the OHSAS 18001:2007 certificate as accreditation for our management with relation to H&S at work. This rating, officially accredited in Spain by AENOR, is in addition to the other certifications held by the business and recently renewed: ISO9001:2015 Quality Management System, ISO 14001:2015 Environmental Management and UNE 166002 R&D&I Management System. AENOR is the leading authorised certifier in Spain, ad amongst the top 10 globally. Their knowledge in the field of quality, environmental management, innovation and work safety are to the highest and strictest standards, giving the awarded companies such as ourselves added value, and a guarantee of excellence. The OHSAS 18001:2007 Certificate is the latest in a long line of achievements here at Genesal Energy, and will be incorporated alongside our other afore mentioned and now renewed certificates for the next 3 years. 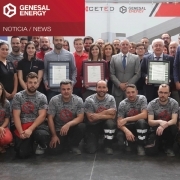 Amongst the list of renewed certificates, we should highlight our Certificate for Environmental Management (ISO 14001:2015), official recognition that at Genesal Energy we meet the most rigorous standards in terms of environmental protection. A special mention should also go to our UNE166002:2014 certificate in R&D&I management, as we were the first Galician company in our sector to achieve this standard. Director General Fernando Cueto and other members of our workforce from a variety of departments were delighted to be presented with the newly acquired OHSAS18001 alongside the 3 renewed certificates, from AENOR’s Galician Director, Martin Pita. 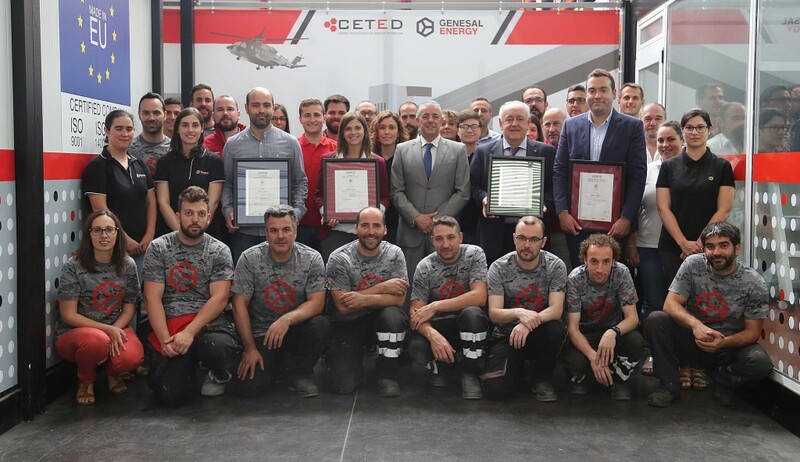 The ceremony itself took place onsite in our European headquarters in Northwest Spain. 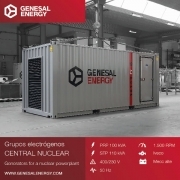 https://genesalenergy.com/wp-content/uploads/2017/06/genesal-energy-recibe-aernor-ohsas.jpg 600 600 genesal https://genesalenergy.com/wp-content/uploads/2017/11/genesalenergy-logo.png genesal2017-06-26 07:15:062019-03-04 14:00:53Genesal Energy is delighted to share with you that we have been awarded with the AENOR Certification OHSAS18001 for Health & Safety at Work, as well as renewing currently held certificates in ISO 14001 Environmental Management, UNE 166002 R&D&I Management System and ISO9001 Quality Management System. Don’t worry if you cannot find the product that suits your needs, simply contact our sales department, and we will give you a personalised solution to the characteristics you present to us. We design very specialised gensets, taking care of even the smallest details. Once we have studied the characteristics and needs for the client’s project, we design an innovative and efficient solution ensuring the client has the exact amount of energy required for their particular situation.